Canberra Health Services is a values-led Directorate. Our values guide our day-to-day actions, behaviours, decisions and communications to successfully deliver the best services to meet the needs of our community. They were developed by us, for us and are unique to our work. Canberra Health Services is committed to the delivery of person and family centred, safe and high quality care in a sustainable health system. This will be achieved with key strategic priorities for CHHS which includes ensuring the delivery of Canberra Health Services Quality Strategy and government priorities, and aligning them with Canberra Health Services Territory Wide Services Framework. Canberra Hospital and Health Services provides acute, sub-acute, primary and community-based health services to the ACT and surrounding region. The key strategic priority for acute services is to deliver timely access to effective and safe hospital care services. The hospital delivers a full range of medical, surgical and obstetric services, including complex procedures in areas such as cardiac surgery, neurosurgery and neonatal intensive care. Strong links exist between hospital and community-based services, as many of the operational divisions deliver services across the continuum of care to ensure continuity of care for patients. The community based services of Canberra Health Services include Early Childhood, Youth and Women’s Health; Dental Services, Rehabilitation and Community Care; Mental Health, Alcohol and Drug Services. In addition, Justice Health Services are provided within the Territory’s detention facilities. Canberra Health Services is a partner in teaching with the Australian National University, the University of Canberra and the Australian Catholic University. • Medical Physics and Radiation Engineering. Under the direction of the Lead Pharmacist and Deputy Director of Pharmacy (Clinical), the Senior Pharmacist will work closely with a team of dedicated and skilled technicians and pharmacists to deliver a safe, efficacious and patient centred service across a range of areas within the Division of Medicine, Surgery, Women’s Youth and Children, Mental Health, Drug and Alcohol and Justice Health Services, Haematology/Oncology, Critical Care and Pharmacy Operations. • Be registered (or eligible for registration) as a Pharmacist with the Australian Health Practitioner Regulation Agency (AHPRA). • Previous project management and/or research experience. • Publication/s within peer reviewed journals. • Comply with Canberra Health Services credentialing for Allied Health professionals. 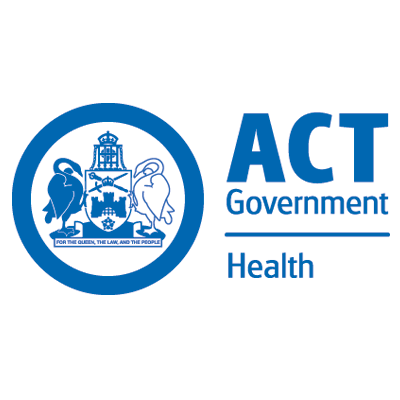 If practising clinically (providing direct clinical care to patients or supervising staff providing direct clinical care to patients) as an allied health professional in any capacity at any time in Canberra Health Services facilities, the person occupying this position will be required to comply with Canberra Health Services credentialing requirements for allied health professionals. Initial credentialing is completed following a pre-offer for a position, prior to any offer of employment being made. 1. Under broad direction, and in conjunction with the Lead Pharmacist and Deputy Director of Pharmacy (Clinical), provide highly specialised level clinical pharmacy services for a broad range of specialty areas in senior rotations, undertaking a clinical supervisory role for junior and intermediate rotational staff. 2. Provide education, training and professional supervision to other pharmacists, interns, students and technical and other support staff. In conjunction with the Lead Pharmacist provide education, training and mentorship to medical, nursing and other health professionals, and provide education to consumers and relevant stakeholders in their care. 3. Represent the pharmacy department through professional leadership to facilitate effective service provision and ensure safe and effective use of medicines. 4. Proactively develop own knowledge and expertise to serve the functions of the role and the environment keeping abreast of emerging trends in pharmacy services. 5. Develop and contribute to practice based research, medication safety initiatives, accreditation activities, publications, policy and procedure review, strategic planning and service review, and quality improvement projects relevant to the specialty area. 6. Provide a range of pharmacy services on weekends, public holidays and after hours as rostered, including participating in an On-Call roster, and undertake other duties as directed, within the approved scope of clinical practice, including working across multiple hospital sites. 7. Undertaking other duties appropriate to this level of classification which contribute to the operation of the section with the delivery of high quality person and family centred, safe and high quality patient care. 1. Proven substantial experience across a range of clinical specialty areas with a high level of knowledge, skills and expertise, including medicine, surgery, women’s health, paediatrics, mental health, drug and alcohol, haematology/oncology, critical and emergency care and pharmacy operational areas. 2. High level interpersonal and communication skills, including the ability to consult, negotiate and liaise effectively with patients and with colleagues in the multidisciplinary setting. 3. Demonstrate experience in education, mentoring and training, clinical supervision and the ability to impart knowledge and skills to pharmacy staff in this area of specialty practice. 4. Demonstrated development, evaluation and maintenance of departmental improvement programs, policy and procedures, medication safety initiatives, research initiatives and accreditation activities. 5. Demonstrate a commitment to Work, Health and Safety (WH&S) and the positive patient experience and displays behaviour consistent with Canberra Health Services values of Care, Excellence, Collaboration and Integrity.